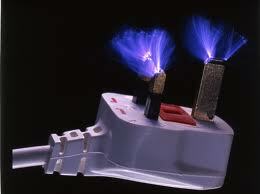 Taking the hassle and confusion out of compliance with “The Electrical Safety at Work Regulations”. Qualified and certified by SELECT (Scottish Electrical Trade Association), registered with the S.J.I.B as a Qualified Electrician and holding a current health and safety passport with the CSCS/ECA. AMteq E and I Services Limited are a North East Based P.A.T. Testing and Electrical Services Company, established in 2005. AMteq E and I Services Ltd. is focused on providing high quality P.A.T. testing and electrical services to the North East areas based on a sensible pricing structure and outstanding customer service. We provide a reliable, professional and friendly service to small business, hotels, care homes, offices, shops, factories, DJ’s, musicians, landlords, letting agents and many other types of organisations. We are an established electrical and instrumentation company, specialising in the testing of electrical equipment (P.A.T. ), drawing on over 25 years of industry experience attained within various fields. Qualified and certified by SELECT (Scottish Electrical Trade Association), registered with the S.J.I.B as a Qualified Electrician and holding a current health and safety passport with the CSCS/ECA. We are always here to help. Small, medium or large business, we value your custom. AMteq E and I Services provide PAT testing services, electrical installation, fault find / repair and appliance repairs to all areas in the North East of Scotland which include Aberdeen, Peterhead, Ellon, Fraserburgh and outlying areas of Aberdeenshire, Banff and Buchan and the wider Grampian area. Registered in Scotland SC294077 registered offices 22 Main Street, Hatton, Aberdeenshire AB42 0SB.